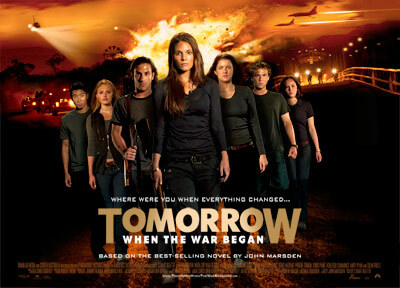 Based on the first novel of a hugely compelling and successful series from John Marsden, Tomorrow When the War Began tells of a group of teenagers in outback Australia who come back from a weekend camping in a remote site to find the country has been invaded and their friends and families are all prisoners of war. Once they establish this, they decide they need to fight back. This needs to be a television series. It is so good; yes, it would have been great it this film had made enough to have kept going, to have made sequels. But it’s the wrong format – there is just too much in the story, too much in the books to go into a feature film. But this film gives a really strong sense of how good it could be.